How and When Should Long-Term Safety Data be Obtained for Hypolipidemic Agents? 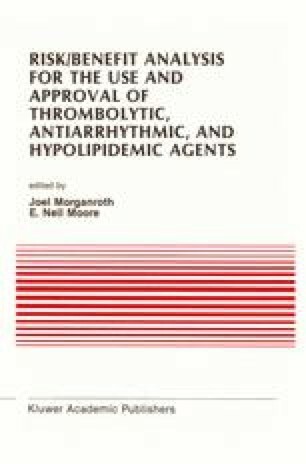 The aim of long-term safety data aquisition is to better define the frequency of adverse reactions suspected, but not definitely established to be drug-related on the basis of shorter-term trials, to detect toxicity that may depend on some threshold of cumulative dose or exposure duration, as well as to define the spectrum of lower-frequency reactions associated with the use of a given drug. This is a formidable goal, yet crucial to our rational understanding of how potential benefit compares to potential risk as we make treatment decisions in actual practice.